Speaking with HitFlix, McConaughey said, "I feel good, now. Overall, [I have] probably got 35 percent less energy. The tough part, there have been plateaus." McConaughey had women swooning earlier this year in the male-stripper flick ‘Magic Mike.’ His body has drastically changed since that role, however. "Getting past 170 was really hard, but then once you get into the 167, the next seven come off easy. Getting past 160, really hard. But then you fly down to 150. Getting past 150 was really hard. And then, bam, got down to 143 and that's where I want to be." “Once you get past the plateau, the body seems to understand, 'OK this is where we're living now, this is where we are', so the energy rises," he added. 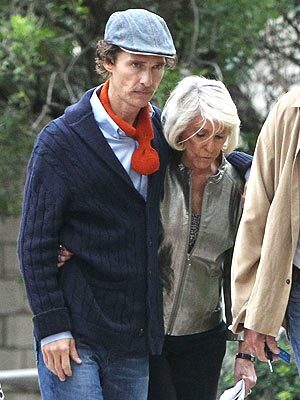 McConaughey is currently in the midst of a five-week shoot for the upcoming film, which is expected to be released sometime in 2013. Once filming has wrapped, McConaughey knows he’ll have to ease his body back into normalcy. "The organs shrink, so my stomach has shrunk as well," he explained, "so as much as I can't wait to have that cheeseburger, on the day, it'll be damn hard to eat the whole thing."